When it comes to businesses, especially startups, you need to understand that this generation does everything on their mobiles. Not just the new generation, people from older generations have also become technologically literate and use mobile phones for day-to-day activities. Mobile phones have become an inseparable part of our lives, and they are here to stay. So, it is a good idea to appreciate the mobile generation and use it to your advantage to give your startup the boost that it requires. The past decade has seen a boom in mobile applications, and the two most prominent application stores, Apple’s AppStore and Android’s Play Store, have a whopping 2 million applications. There is no foreseeable end as this number is increasing as you read this article. 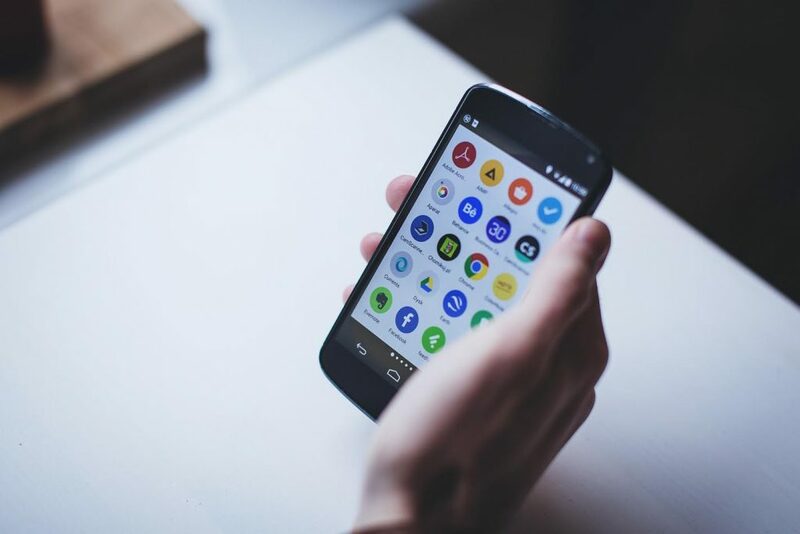 Not only the mobiles are very important in one’s life, but there are also various other gadgets that have been seen in the market that use the mobile phone interface or connect as a peripheral to the phones. Some examples are Google Glass and smart watches. And, when you give your customers a chance to use their mobile phones for giving you business, you also give them one more reason to use the new technology which will ultimately help your brand because the more you are ready for future technologies, the higher are your chances of success. Ajay Seth, CEO of Skylark, stated: “Enabling your startup with a mobile app will give you an added advantage of location tracking which can help you generate more sales by suggesting the user the right product/service based on his location tracking data.” There are numerous advantages like these which make it a norm to have a mobile application for your startup business. We studied the reasons why startups require a mobile application and picked 5 of the most important ones that will help you make your startup a big success. Your brand needs to be seen more frequently in order to get you more business. This can be achieved by mobile apps as we have already seen how important mobile phones have become to the people today. We know that they will use their mobile phone for at least 2-3 hours in a day. When your mobile app is present in their phone, they will see it at least 10-15 times in a day. And when your mobile app is your brand, it is being seen buy the customer so many times in a day. Therefore, they are inclined to buy your products/services. This method of advertising is known as ‘effective frequency.’ You can do more to get seen in the mobile phones of your customers by sending them notifications. This will increase your chances of being noticed and provide your brand the recognition it needs to boost sales. Your startup may have a website that showcases all your products and/or services, but you need to understand that this is a time where mobile phones have taken over laptops and desktops because of portability, ease of use and compact size. When you want maximum business from the customers, you need to be where your customers are and never miss a chance to make a sale. Let us look at an example, a customer buys from your website regularly and brings in a lot of business. He goes to a party and recommends your website to another person who thinks that your website is really good. He is inclined to buy from your website and opens it on his phone, but the website is not mobile-friendly. He immediately closes the website, and you lose the chance of a sale. This is one of the scenarios which make you look at how important a mobile application/mobile-friendly website can be. If you had a mobile application, that person would have downloaded it and may have bought one of your products. This would also have helped you convert him into a frequent buyer as your app being your brand can help you with effective frequency marketing. When you are just one tap away from your customers through the mobile app, you promote customer loyalty too because reaching you is going to be a piece of cake for them. Selling On The App: This is the most obvious one, selling your products/services on the application will open a new source of revenue for your business and increase your business’s sales. Selling The App: You can attach a price tag to your app and open another new revenue channel by making your application paid. This will not only increase your revenue, but it will also help you identify the loyal and frequent customers. Advertising: Another way of earning revenue from your mobile app is advertising, as it has become a widely followed practice in the mobile application market. If your app is free and you want to earn revenue from it even when users are not buying anything from it, you can post advertisements on the app and get paid by the click. One of the most used ways is Google Adsense. In-app Purchases: If your app is not meant to sell any products, you can make some features of the app to be payable and earn revenue out of these features. This works just like paid applications, but the advantage is that you give the users an experience of browsing through the application for free but to make it really usable, they have to pay. This method doesn’t work in a market with high competition. Your customers can provide you with valuable information if you make them log in on your app with one of their social media accounts. Their profile information, location data, and other such demographics can provide you with vital data to suggest products/services to the users which increase the chance of that user converting into a customer. Your mobile app works just as a good salesman for your business. Just like they suggest a potential customer what would suit them based on different observations that they make, your app does exactly the same. You can also introduce features like a direct chat with a customer service representative to engage more with the customers by making them feel important and valued. A user that is happy with your services and feels comfortable with your application generally translates into a buyer. With a mobile application, your brand recognition will shoot up, and this means you can also launch the application in new countries to broaden your customer base. While business expansion can be done with a website, the recent trends have shown that more than 70% of the subscriptions were made with mobile devices including mobile phones and tablets. So, when you expand your businesses in new regions, your best bid is to do it through mobile applications as all the countries have shown a tremendous rise in the use of mobile phones and mobile applications to make purchases and book services. If you still feel skeptical about investing in mobile application development for your startup, you must know that ultimately the average cost of developing a mobile app per device costs less than 1% of the business’s revenue. Skylark has calculated the cost of mobile app development which can be anywhere between $32 to $161 per hour. While this cost may still seem immense, its only going to increase your ROI (Return On Investment) and help your startup achieve great heights.